Funny things happen when your digging into the life of a person to write a book. 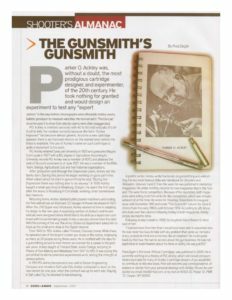 I wrote an article for Guns & Ammo Magazine in 2007 looking for information for the book. I had hoped that some Ackley fans would offer some information and provide a few leads. 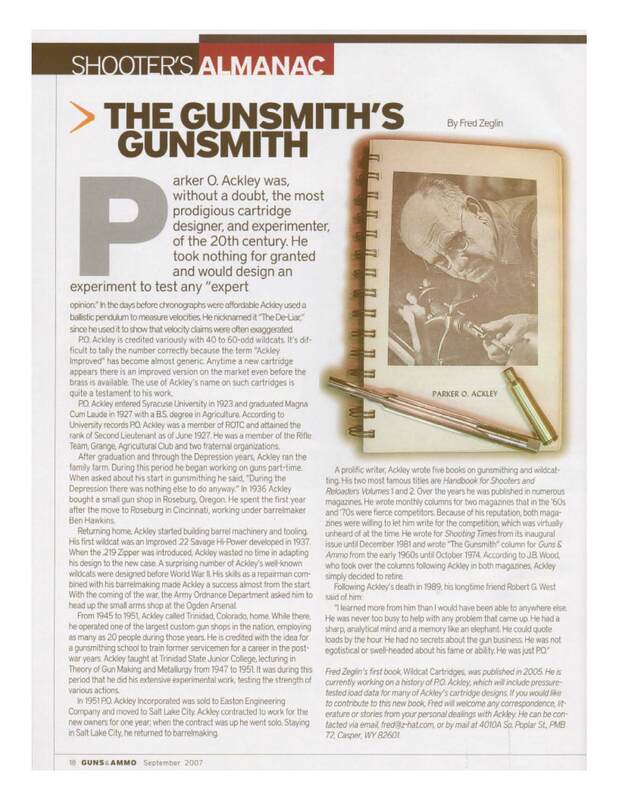 As it turned out the article did very little to turn up new leads, but it did stir a little interest in the book and many folks told me to “Let them know when it was published”. The most unique response I received was a letter addressed to P.O. Ackley, but at my address at the time. This is no longer my address either, so email me direct if you want to chat. Somehow this poor chap thought that by writing to my address he would reach P.O. Even in 2007 this would have required a good psychic medium as Ackley passed away in 2009. The letter was requesting a reloading manual and price. He said he had a 7×57 Ackley and did not know how to load for it. 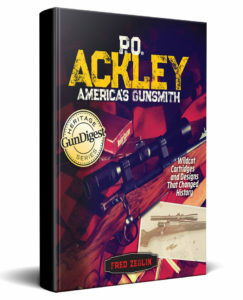 Just for anyone who wants to know, you can always use the parent cartridge loading data as a starting point for Ackley Improved cartridges. This is because the fireformed case has more capacity than the factory case did, so pressures are lower until you increase the powder charge. I wonder if P.O. would have thought this was funny?